The layover can be either the blessing or the scourge of the travel experience. It can be a long wait in a terminal airport seat, or it can be an extraordinary adventure where time forces a brief immersion into an unexpected cultural experience. In 2010, my voyage across the Pacific brought me to an incredible ten hours in Tokyo that forever changed the way I travel. I looked out the small frosted window at the deep blue Pacific Ocean. As our flight from Singapore approached the foggy Japanese coast I could see small fishing vessels dotting the waves. Drawing closer along the shoreline, the fog seemed to lift like a white veil, and green rice paddies flowed in harmony with the foothills and rocky ridges alongside the water. I was entranced by Japan before even having touched ground, I was in love with it’s dramatically changing landscape, it’s simplicity, and it’s seemingly perfect synchronization between city and nature. With the plane landing at Narita airport, I was taken back by the open space around the airport, while the urban sprawl was neatly organized outside. The entire country, it seemed, was a work of art. I glanced down at my ticket, my flight for Los Angeles wasn’t going to leave until 5 that evening, and at that very moment it was barely 7 a.m. With no guidebook, a rudimentary understanding of Japanese, and a rarely satisfied stomach, I decided to set off into the heart of Tokyo. to the convenient underground system that linked the airport to Chiyoda, the economical and political heart of Japan. The trains themselves were spotlessly clean, punctual, and comfortable. As we zoomed by the green countryside, we passed the suburban neighborhoods and I was taken in by the unique architecture of the apartment blocks, the layout of the streets, and the cars, so small and efficient, with their famous curvy design element. 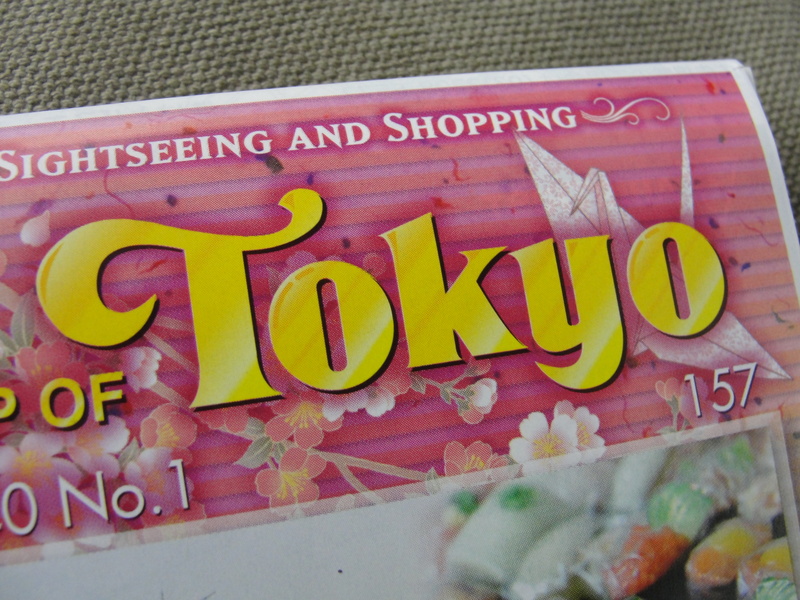 Yes, Japan was unlike anywhere else. 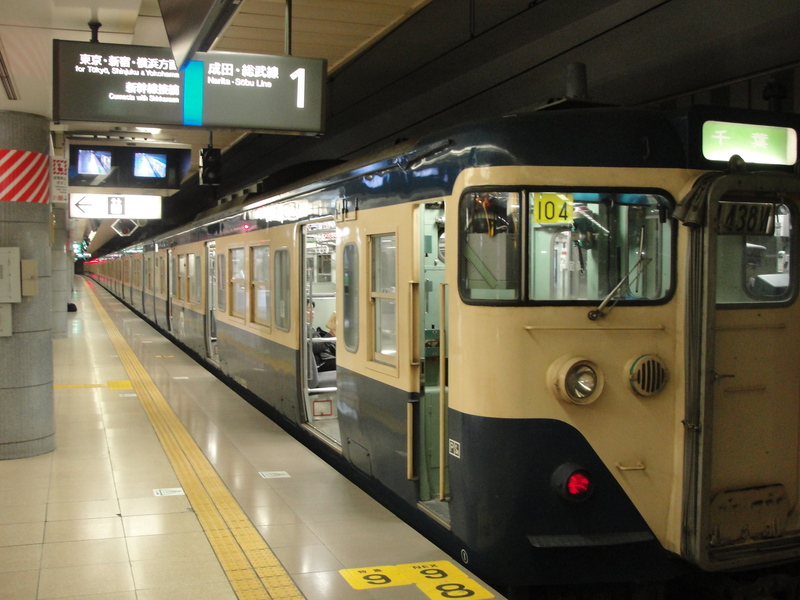 Pulling into the underground Tokyo station the scene was nothing less than chaotic. Business suits flew by at every angle, there was an organized yet fast paced ballet of trains, businessmen, and commuters that crisscrossed the multiple passageways to the street. I set out to find my return train ticket to the airport. This alone would be my first challenge of the day. brilliantly efficient system, or a trap meant to forever perplex the western tourist. In a scene that was more reminiscent of something out of “The Da Vinci Code”, I worked my way through dozens of menu screens of Japanese text searching for the one with the numbers. With no visible English option, I endlessly worked my way back through menu screens punching in random combinations of buttons until I found the one with a little anthropomorphic cartoon train (because everything here can be explained through the power of cartoons) pointing to a bouncing clock. Setting the time to the clock I waved my card through and printed my passes…at least I hoped I had. Passes in hand and a sense like I had singlehandedly decoded some ancient language, I made my way past an army of black suits to the exit. I hiked my way out of Tokyo station, a beautiful red brick building still undergoing reconstruction from firebombing during the war. The plaza in front of the station was a wide expanse of four lane streets that was incredibly pedestrian friendly. It was now nearly 9 am, and I walked in a straight line hoping to run into some interesting museum, some park, or as I was hoping, some food. The city did not disappoint. 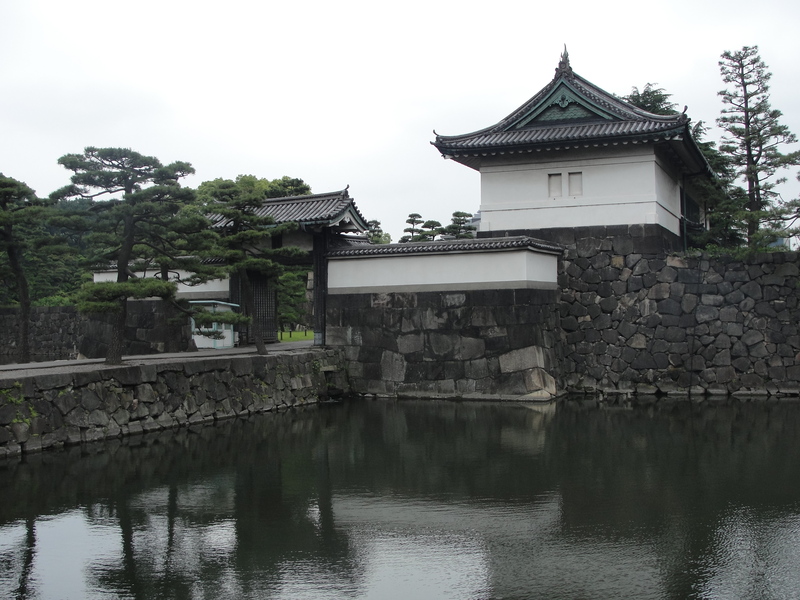 Just north of the train station, I walked right up to the extraordinary Imperial Palace and Gardens. Gigantic stone walls dotted with simple wooden gates are connected with beautiful curving bridges over a deep moat where swans swim freely along the waterway. The traditional pagodas of the palace are in a state of constant preservation and the layout of the palace was retained the same way it was hundreds of years ago. I spent an hour walking up and down the seemingly endless perimeter while I met a myriad of tourists detailing every angle of the palace in their cameras. Yet beyond history, my heart told me to explore, my stomach was telling me otherwise. while they would glance at me, and then fall into a tight circle, laughing. I didn’t mind the awkwardness, the beef was rich and chewy and it made a wonderful midmorning meal. Yet I was still not satisfied, I thought to myself, dare I go look for the one thing that every westerner who comes to Japan tends to look for? So I did. salmon tasted…”fishier”, and the crimson red roe just seemed to melt into salty goodness. This was definitely what I had been searching for, and it was worth the trek. My hunger more than satisfied, I walked across the gardens to the wrought-iron gates of the Imperial Palace. I expected a hefty tourist price to explore the lofty estate, but was pleasantly surprised to find it was completely free. I had free roam of the gardens. 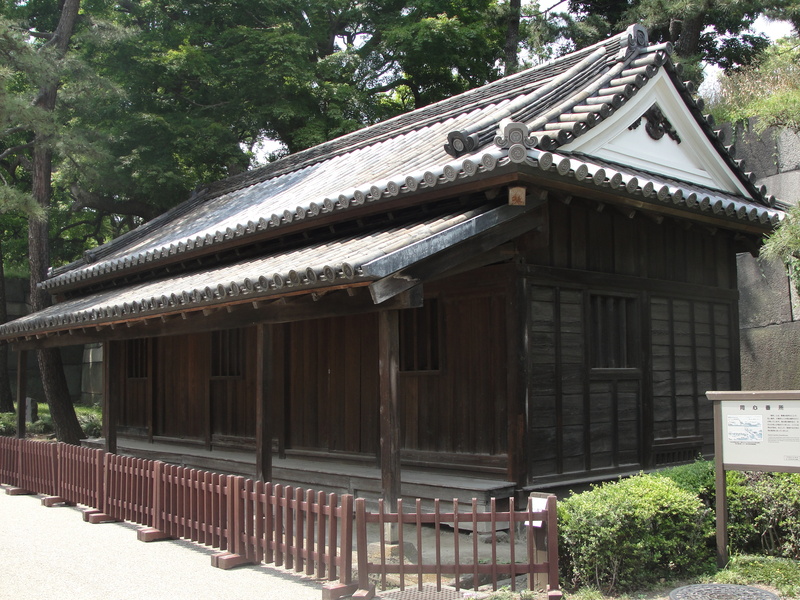 I passed by the long pagodas, the barracks of the Samurai, the Emperor’s elite warriors and bodyguards. Centuries of history was locked here as bombed out castle keeps were reminders of feudal wars, and the bombings of the world war, and served as a testament to a nation who had long embraced peace above all else. Past the music conservatory and watchtowers was a small gallery displaying intricate designs of geishas and warriors weaved onto thin rice paper. Alongside were the Emperor’s personal armor and sword, gleaming with embedded jewels and embellished with decorative curving lines and script, a constant prayer to the Emperor when he carried it into battle. Standing in this place I reflected on the unique history of the East. A country locked between modernity and tradition keeps its palace walls open to everyone in a silent reverence to their proud past. 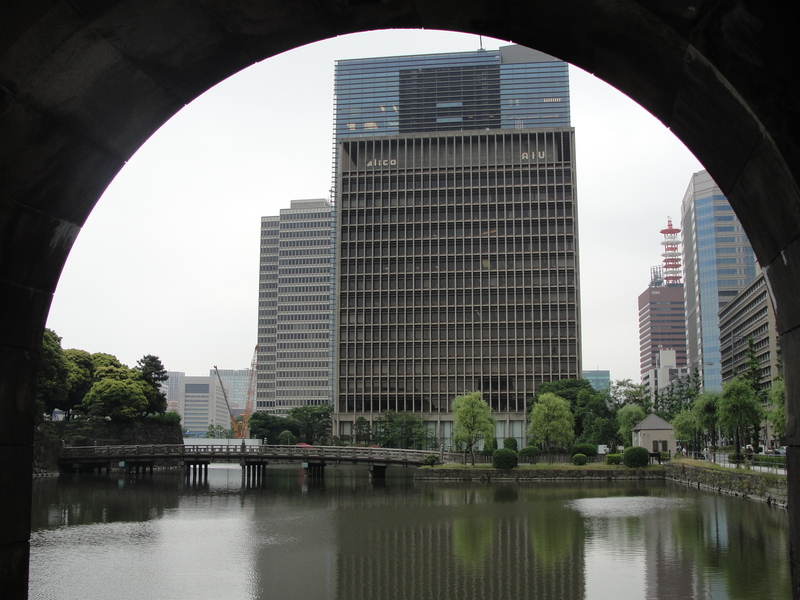 Tokyo was a city, long considered isolated from the world, that no longer shrouded itself in mystery. As I exited those giant gates and looked back at the pagodas, I took gratefulness in a city that in a mere six hours, had made me fall absolutely in love. 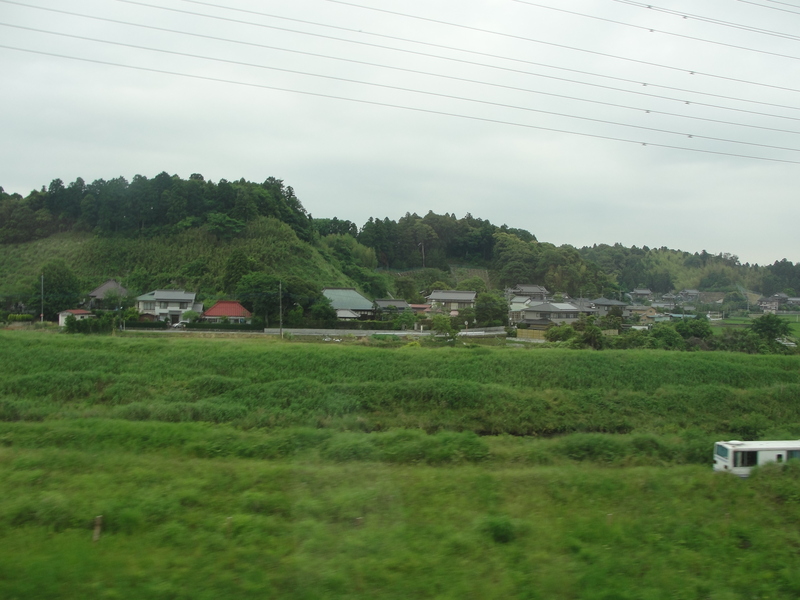 My train sped past the rice fields, the pagoda style houses, and the gleaming green hills back towards Nartita Airport. Upon arriving back at the airport I took the final hour before my flight to pick up snacks for the ten hour leg towards Los Angeles. As I was searching the racks, I came upon a green Kit Kat bar. 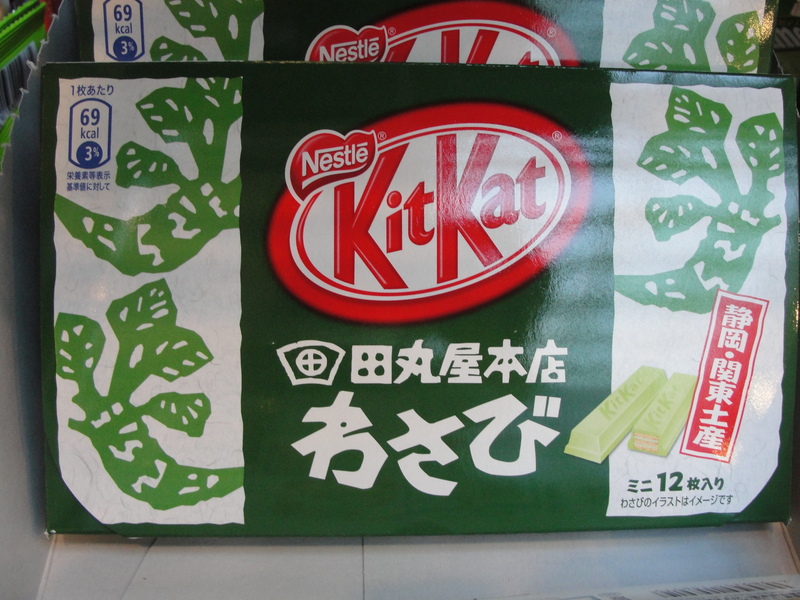 Yes, this was a Wasabi flavored Kit Kat bar. That green paste that has been forever the scourge of the sushi-eater dipped in wafer and chocolate. I was too curious to resist. I bought the bar and opened it to reveal a white chocolate dipped bar with speckles of green. Taking a bite I was hit with the immediate sweetness of the white chocolate, and a second later I felt the slight, yet not overpowering sting of the wasabi. It had no more of a bite than eating an onion slice, and pleasantly balanced the chocolate. My culinary adventure fulfilled, I boarded my plane home. As the plane flew off the coast with the Land of the Rising Sun now becoming the Land of the Setting Sun, the fog once again shrouded this country that walks a line between a fast paced western culture, and a careful preservation of it’s ancient history. The fishing boats dotted the ocean one last time and after that it was only the deep azure of the Pacific. When traveling internationally, many airports offer services that are both for the homesick and for the local. You may not be there for long, but that doesn’t mean you can’t indulge yourself in a mini-culinary experience. If you’re traveling through Italy or France, skip the fast food and indulge in a well made cappuccino or cafe au lait. 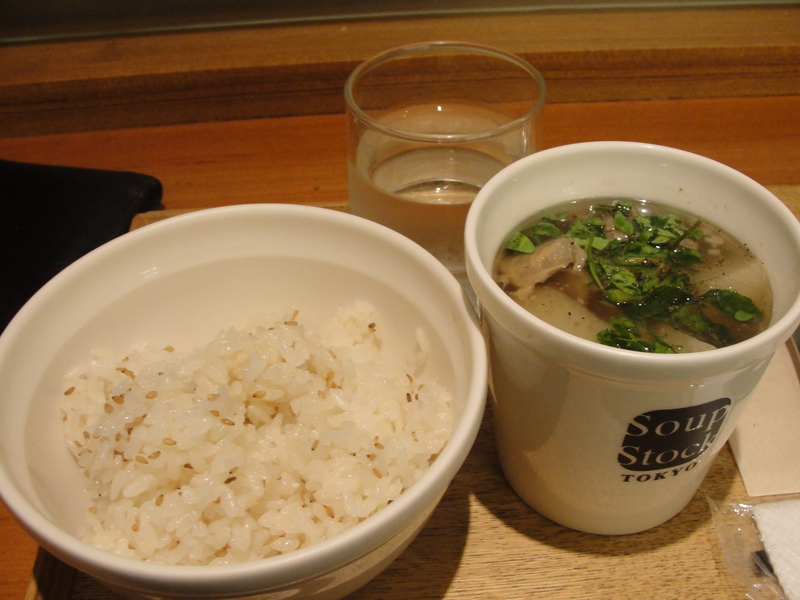 When traveling through Singapore and Japan, sit at the counter of a noodle shop or soup kitchen that’s traditionally made and taste the unknown, no matter how weird it might look. If your flight allows you the time, find yourself in the city. Get lost among the streets, find an interesting museum or gallery, and eat as much as you can. Most airports have direct train or bus lines to the most interesting sections of the city and make it extremely convenient to get back. There is much to do and see while spending little or nothing and the forced immersion plus time constraints gives one the perspective to appreciate their surroundings. If you’re going into the city, take your time. Don’t treat your layover as “killing time”, think of it as an unexpected perk of your trip. 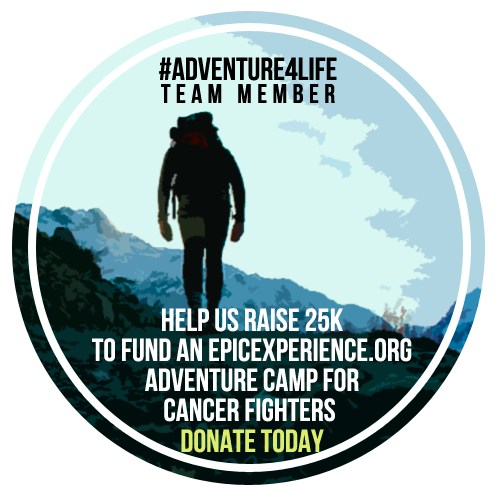 A chance to explore a destination prior to your destination. Savor every bite, record every moment, sit down on a bench and reflect on the uniqueness or your surroundings. With this you have a whole new story to tell, an unexpected eye opening view on the world, and a fascinating unplanned adventure. 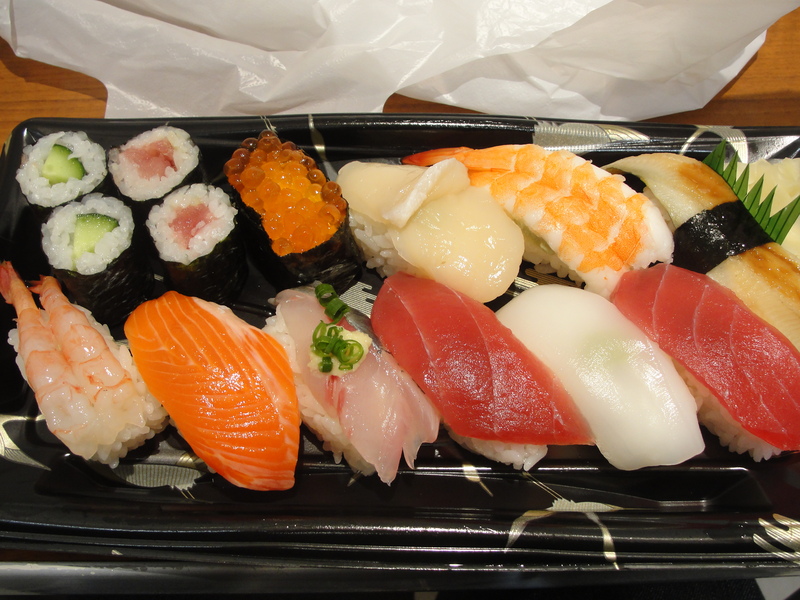 I just stuffed myself silly with sushi, and this post made me hungry all over again. Glad I had that effect on you 3:-) are you going to be down here soon?